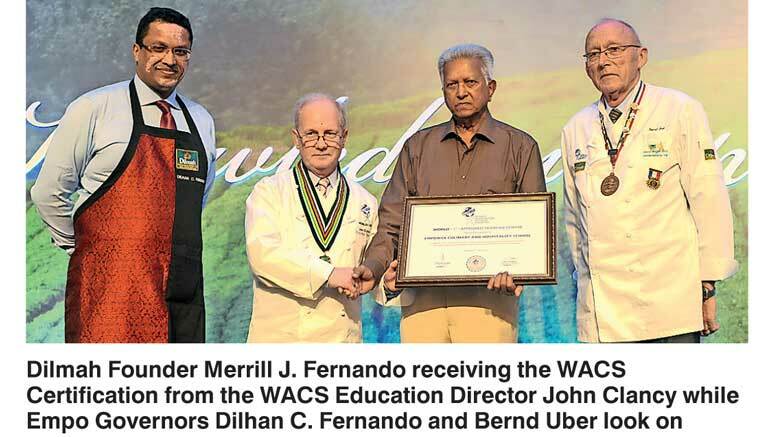 The Empower Culinary and Hospitality School, Sri Lanka’s premier culinary and hospitality facility, which creates new avenues for underprivileged and marginalised youth with empowerment through education in the gastronomy and hospitality industry of Sri Lanka, was granted World Association of Chefs Societies (WACS) recognition recently. WACS is a World Chefs body consisting of 10 million chefs and the Empower Culinary and Hospitality School is the only culinary training institute in Sri Lanka to hold this prestigious title. The Empower Culinary and Hospitality School is an outcome of the philosophy of MJF Foundation Settlor Merrill J. Fernando that, business is a matter of human service. Founded on the principle that every individual has the ability to succeed and the right to that opportunity, the Empower Culinary and Hospitality School was established by Dilmah Founder Merrill J. Fernando to offer the underprivileged an opportunity to rise above their circumstances. The WACS recognition comes in the wake of the graduation of its inaugural batch. 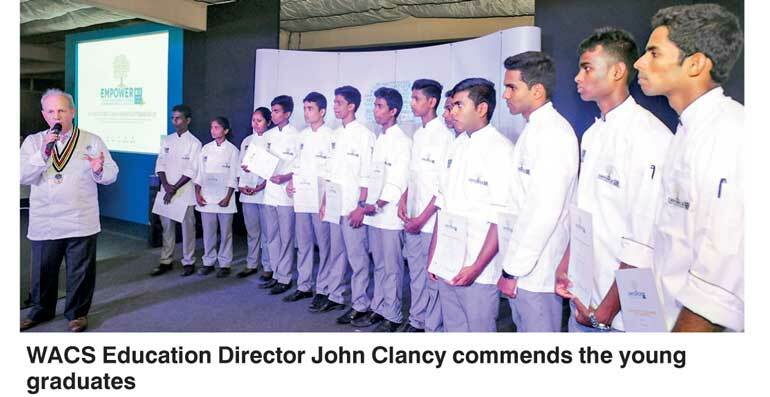 The announcement was made by WACS Education Director, John Clancy during the gala graduation night, held on 7 February, at the Empower Culinary and Hospitality School in the presence of 140 School Of Tea participants who have flown down to Sri Lanka from different parts of the world. During the event, John Clancy acknowledged that Empower Culinary and Hospitality School is an institute having a high standard of training and skills development to continue professional development. The citation recognises the development and delivery of the culinary training programme, to be on par with global standards. “When World Chefs were invited to assess the program, we were absolutely delighted and honoured to do so and we spent some time going through the program. The learning material that is there is just absolutely top class. The facilities are just exceptional; right down to the whole learning environment, the facilities upstairs for students where they can study on computers. There’s an array of cookery books. It’s still building and I really do believe that it is going to be an amazing success story. The word, ‘empower’ says so much,” he emphasised. Managed by an eminent team of Governors – Bernd Uber, Peter Kuruvita, Rohan Fernandopulle and Dilhan C. Fernando, the school uses an intensive training method, to provide selected students – those with physical disabilities and youth from rural communities and the plantation sector in Sri Lanka with comprehensive knowledge and international perspectives on cuisine and hospitality. The four-month culinary course offered by the school, totally free of charge, is equal to the best in the world with visiting international professionals supplementing the Sri Lankan faculty. Culinary empowerment spans the fundamentals of nutrition through personal discipline, English, cooking skills, information technology and menu planning. Built to the standards of a commercialised kitchen, the culinary unit is equipped with the latest technology and kitchenware needed to train chefs in all areas, such as hot and cold cooking and baking. Not forgetting those that maybe wheelchair bound, it also includes a station which is specifically designed to allow their ease-of-access. “Dilmah is not just the best cup of tea but it is a cup that cheers the poor and the needy. I have made the poor look to Dilmah for various kinds of relief and support and the wealth I have acquired is going back to the poor. At the MJF Charitable Foundation, we have a variety of activities bringing hope and sunshine to the poor and the disabled. The school is another source of providing hope and happiness to the poor and the disabled. About 90% of the children who passed out came from our estates; children of tea pickers never had a hope of achieving such a position in life,” he explained. “Six months ago, these chefs knew nothing about cooking. We designed a four month boot camp method with the involvement of WACS, of committed people like Bernd Uber with input from Peter Kuruvita, from Rohan Fernandopulle, with the involvement of our chefs like Rajiv. What we did was then transform that a little more by insisting that these people, whilst they get completely free training, that we require of them their commitment. They start the day with physical exercise; they go on to learn English; they go on to learn computers. They are stretched beyond what they believe to be their capabilities. We extract, in those four months, their true ability, that is their true potential which each of has in whatever circumstance and then we are able to take them forward,” he said. According to Dilhan C. Fernando, part of the course is three months apprenticeship. “If somebody else does not take them we take them into the leisure division which my brother runs. So they have the wonderful privilege of saying they have come from the plantations and they are choosing, from the finest of the five-star properties of Sri Lanka, which one they will join. That shows the difference that knowledge can offer. How knowledge can take you from a completely underprivileged environment into something that is transformational,” he added.